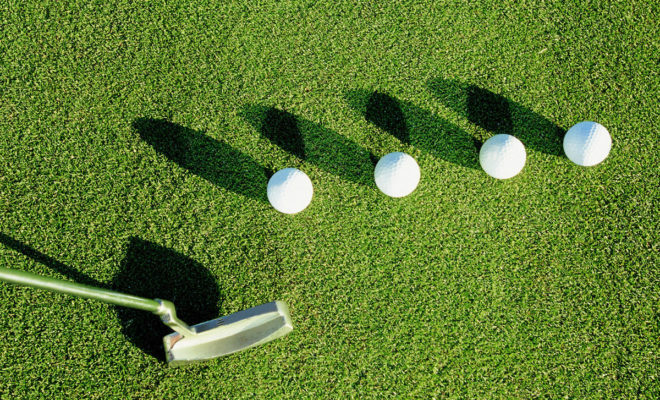 Home›Know the Rules›What is Four-Ball and How Does It Affect the Rules? What is Four-Ball and How Does It Affect the Rules? 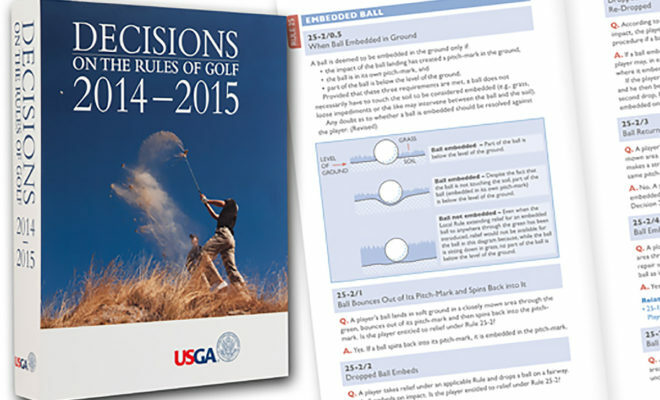 In 2015, the USGA will hold its first editions of the U.S. 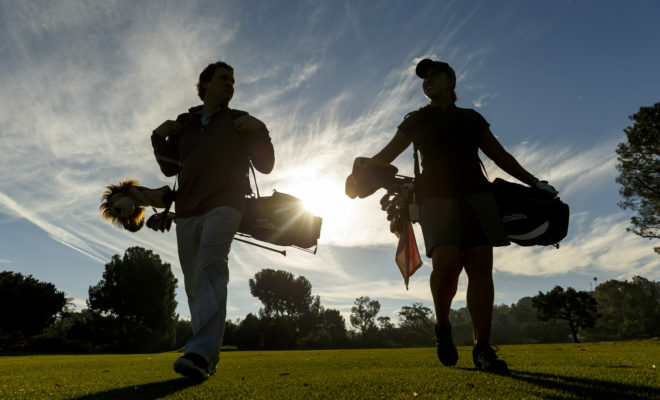 Amateur and U.S. Women’s Amateur Four-Ball Championships, and the SCGA will conduct its first set of qualifiers for the Championships. The Championship will be played utilizing Four-Ball Stroke Play and Four-Ball Match Play formats. 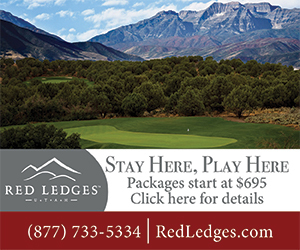 Clubs, state/regional golf associations and other golf organizations have conducted Four-Ball competitions for numerous years and this format of play is especially popular amongst the general public. Four-Ball comes in two forms: match play and stroke play. Four-Ball Match Play (Rule 30) is a match in which two players play their better ball (lowest score on the hole) against the better ball of two other players. In four-ball stroke play (Rule 31), two competitors play as partners, each playing their own ball. The lower score of the partners is the score for the hole. In both forms of play, if one partner fails to complete the hole, there is no penalty so long as his/her partner returns a score for the hole. Where did Four-Ball get its name? The name first appeared in the 1908 R&A’s Rule Book, and came from the fact that there were four balls in play at one time in a match, thus the name Four-Ball. Four-Ball Stroke Play did not appear in the Rules until 1952. The definition of a “side” under the Rules of Golf is a player, or two or more players, who are partners. This definition was introduced into the Rules of Golf in 2012. 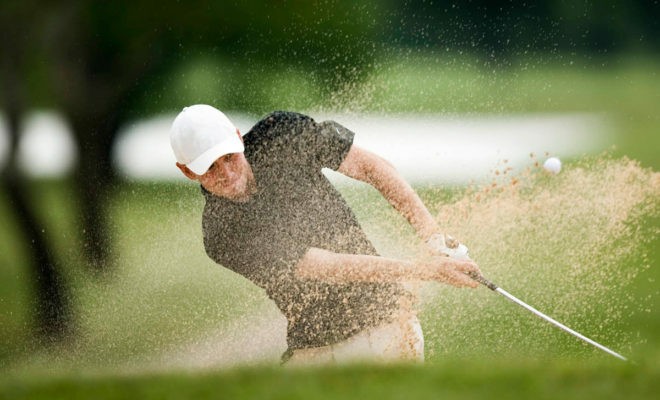 In Four-Ball Match Play and Four-Ball Stroke Play, a side only has to be represented by one partner for all or any part of a match or stipulated round in stroke play. Balls belonging to the same side may be played in the order the side considers best. In Four-Ball Stroke Play, the gross score to count must be individually identifiable (right score attributed to right player on each hole) on the score card. How are penalties administered in Four-Ball Match Play Four-Ball Stroke Play? In both forms of play, penalties are broken down into categories. The first category is when the entire side is penalized for a breach by any partner on the side. 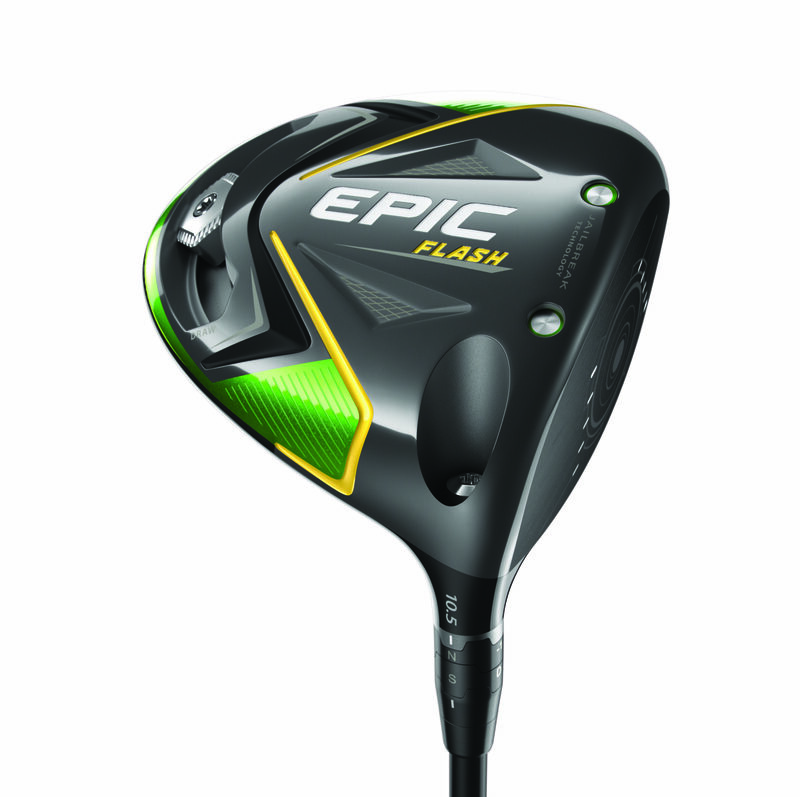 An example of this is when one of the partners in four-ball stroke play starts his/her round with more than 14 clubs. Each player would be penalized two strokes plus two strokes on a subsequent hole. The second category involves disqualification penalties. These are broken down into two subsets under the Rules: (i) a breach by one partner and (ii) a breach by both partners. In subset (i) an example would be when either partner agrees to wave a Rule of Golf (e.g. agreement to concede short putts in stroke play). In subset (ii) an example of a breach by both partners would be in stroke play when both players arrive to the first tee more than five minutes after their scheduled starting time. It should be noted that in all other cases where a breach of a Rule is disqualification and not specified under these two rules, the competitor is disqualified only for the hole at which the breach occurred. The third category is the effect of other penalties. Unless the breach of a rule by a player assists their partner or adversely affects an opponent or fellow-competitor, there is no penalty applied to the partner. Decision 31-8/1 is a great example of this. 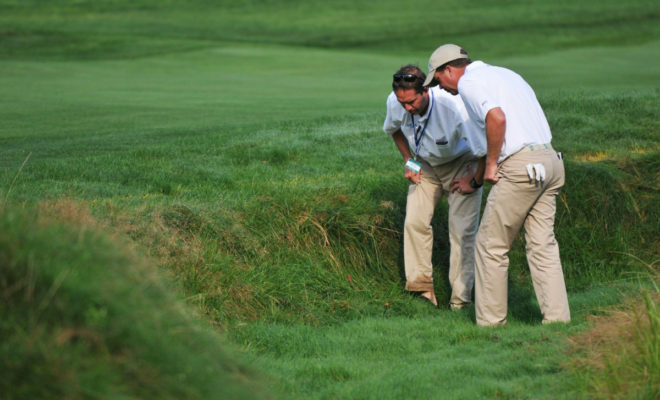 Player A lifts a large loose impediment lying in the bunker 10 feet away from his partner’s ball. Player A is penalized two strokes in stroke play or is disqualified from the hole in match play, but since his action did not assist Player B in any way, Player B does not incur a penalty. 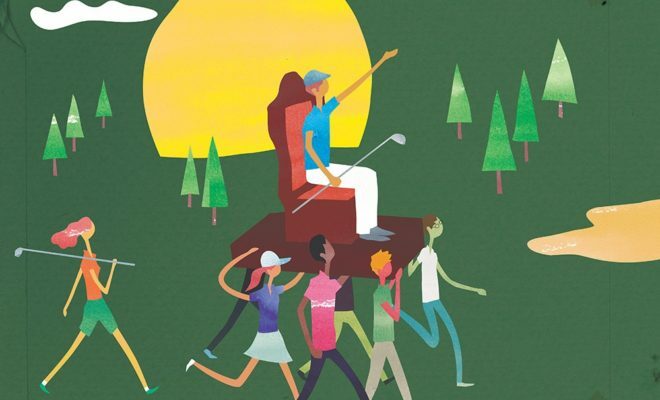 Whether someone is participating in a Four-Ball match or in a Four-Ball stroke play competition at their club, it is important to know the rules of these forms of play and how they differ in match play versus stroke play.